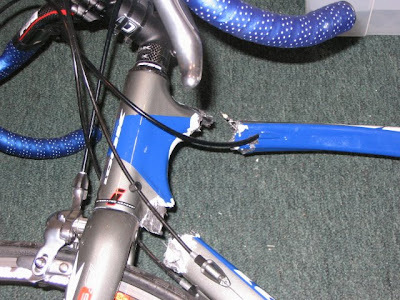 At least the look carbon fork held up this hit! 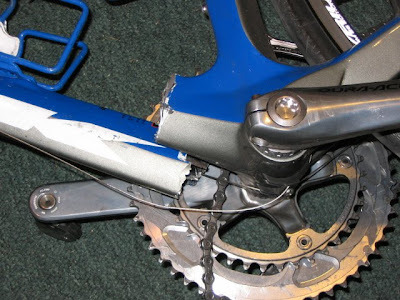 That bike really exploded into pieces! 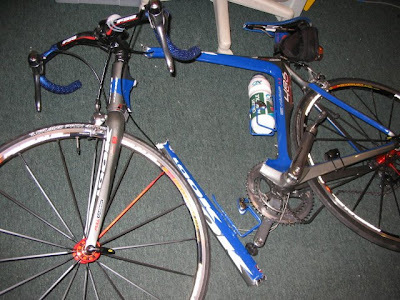 Hope the rider was ok.